Born in northern Pakistan, Ahsan is a self taught wildlife artist. Apart from his profession as an Ear Nose and Throat surgeon he has a special love for nature and wildlife. 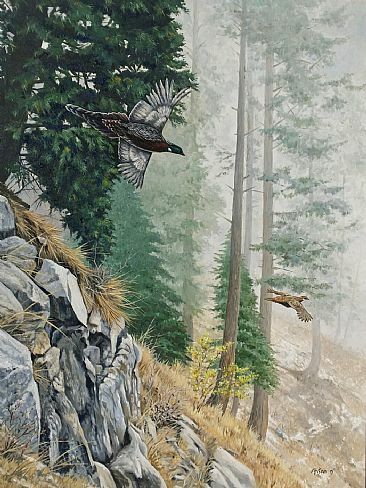 He used to go with his father on hunting and trecking adventures since childhood and used to observe the natural world closely that tempted him to draw and paint.